The enlargement of the EU and domestic tax cuts in Scandinavian countries have presented new challenges to liquor brands in the European travel retail market. But at the recent TFWA duty-free and travel retail trade show in Cannes, Joe Bates found the mood to upbeat. Europe remains the largest market for duty-free and travel retail liquor sales, but the business is facing challenges. At many locations tax changes and competition from domestic retailers are squeezing travel retailers' margins and forcing suppliers to develop products and packaging formats, which are exclusive to travel retail. On a positive note the latest industry statistics do show a strong recovery after a rocky period from 2001 to 2003, where fears over terrorist attacks and the SARS virus stopped many people from travelling. According to industry analyst Generation, global duty-free (and travel retail) liquor, wine and beer sales rose an encouraging 14.3% to US$4.48bn in 2004, with Europe accounting for the largest share of the market, at 45.6%. 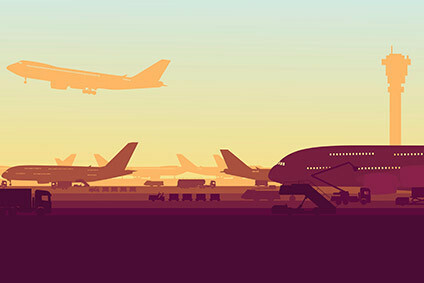 With aviation experts predicting low-cost carriers will have captured a quarter of the European airline market by 2011, duty-free operators are realising to their relief that low-cost passengers are not necessarily low-spending shoppers. A number of studies carried out by both retailers and airports have uncovered persuasive evidence that spend-per-head rates among low-cost travellers can rival and even surpass those of regular flyers. At this month's TFWA World Exhibition in Cannes there was a mood of confidence among many liquor exhibitors as passenger numbers continue to rise at airports across Europe. "We are having an excellent year with rising sales and new listings," says William Ovens, area director duty-free/travel retail at The Edrington Group. "We did feel the impact of EU expansion last year," he adds. "We lost business in the Mediterranean on Malta and Cyprus, but there are opportunities for larger volumes onboard ferries in the Nordic region, where Estonia, Latvia and Lithuania have joined the EU. The increased duty-paid allowances of 10 bottles of spirits [as opposed to two duty-free bottles] have more than offset losses elsewhere. "We are particularly encouraged with the continuing growth of the malt whisky sector. The Macallan and Highland Park are going from strength to strength. Travelling customers are much more likely to trade up to higher age statements and operators such as World Duty Free, The Nuance Group and KLM Tax Free Services have responded well to the trend by opening specialist whisky stores." Alongside malt whisky, wine is the other darling of the European travel retail drinks market at present. Last year, wine and Champagne sales in duty-free rose an impressive 17% to cross the US$1bn threshold for the first time. Still wine sales grew 15% from US$600m to US$690m with airport retailers in wine-producing countries such as Italy, Spain and France patriotically promoting local wines with specialist standalone stores. However, Racke International vice-president sales Michael Dilewski believes retailers should be doing more to promote branded wines in-store. "Wine is the fastest-growing area within the duty-free liquor market, but it is still punching below its weight," he says. "It has a lot more potential and we feel branded wines such as our Golden Kaan and Yellow Tail labels are the key to more growth. They are not rooted to one location and meet travellers' needs for reassurance, convenience, clearly differentiated grape varietals and pricing information." Wine may be on the rise, but there is cause for concern for the overall liquor category however. According to Generation, liquor accounted for 17.9% of global duty-free sales in 2004—five years ago it was above 20%. Put simply: liquor is losing floor space to other product categories, most significantly to fragrances and cosmetics, which are seen by retailers as less price sensitive, more profitable and easier to promote to a younger customer base. Retailers have made attempts to jazz up their liquor offers, borrowing merchandising ideas from the beauty houses and introducing so-called travel-retail exclusive products, but Hennessy business development director Asia, Japan and global travel retail Henry Leung believes European airport operators are still lagging behind their Asian counterparts. 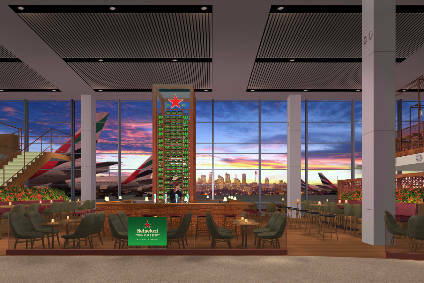 "European airports have a long way to go before they match the luxury retail environments offered by Asian hubs such as Kuala Lumpur and Hong Kong, which provide a great showcase for Hennessy," he says. "The best example of the way forward in Europe is what World Duty Free has done with its new 'ultimate liquor store" at Heathrow T4," he adds. "It will also be interesting to see what [French operator] Aelia will do with their store at Paris CDG Terminal 2E when it is rebuilt. Over the next few years, the mainland Chinese are going to provide a great opportunity for European operators, but unless they can get the right environment to showcase luxury brands, the Chinese will shop elsewhere." When intra-EU duty-free was abolished in 1999, the one saving grace for the industry was that the wide variation in duty rates between member states would create opportunities for travel retailers. However much proponents of abolition, such as EU Commissioner Mario Monti, hoped for a gradual harmonisation of tax rates, this was always likely to be a tough ask. Indeed, six years on from abolition, that level playing field has yet to materialise, giving retailers in Eastern Europe, the Baltic states and southern Europe in particular the opportunity to exploit these price differentials by targeting Scandinavian and British travellers. As cross-border shopping effectively represents lost tax revenue for governments, some countries have acted to reduce its attractiveness by lowering their tax rates. Recent tax cuts in Norway, Finland and Denmark have forced Nordic ferry operators to slash onboard prices, making the category less profitable and ultimately forcing retail buyers to allocate it less floor space. Sweden has yet to drop its prices, making ferry routes to and from Swedish ports easily the most profitable in the region. Swedes are still able to make savings of 40% to 50% over prices in the state monopoly alcohol retailer Systembolaget. Meanwhile, Spain increased its tax on spirits by 10% in September. Suppliers at Cannes said they were confident the savings British and Scandinavians enjoy on spirits while on holiday are still large enough not to make a significant dent in Spanish airport and in-flight sales. Sangria suppliers can rest easy.